Though the stage version is flourishing, this book is out of print. Copies can still be found here and there on-line. Also, I can provide you with a personalized, autographed copy. Send me an email for ordering information. 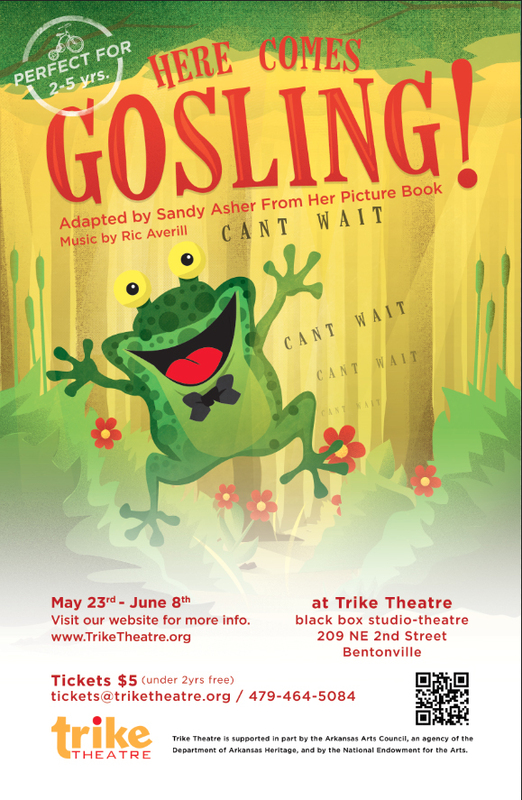 Froggie and Rabbit are back, and they’re getting ready to meet Gander and Goose’s new baby, Gosling. Froggie can’t wait. He loves new babies. But this one won’t stop honking–LOUDLY!–and no one can comfort her. At last, Froggie’s natural charm and exuberance turn Gosling’s tears into smiles. HERE COMES GOSLING is also available as a stage play, in two versions, one interactive and the other traditional, soon to be published by Dramatic Publishing. For more information, please see HERE COMES GOSLING in my list of plays.